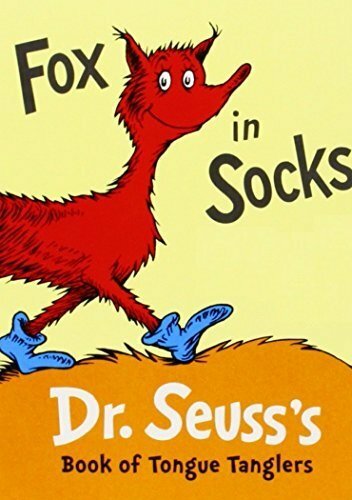 In this light-hearted book by Dr Seuss, the slick talking Fox in Socks shows off his talent of talking in tongue-twisters. Poor Mr Knox can hardly keep up! Fox in Socks is quite a tricky book to read aloud due to all the tongue-twisters, but excerpts can be used to target speech and language skills. Teach regular plurals through focusing on scenes such as the chicks carrying bricks, blocks, and clocks; and the beetles going to battle. The tongue twister about Sue’s socks is excellent for targeting the /s/ sound in word-initial position. The Luke Luck likes lakes scene is perfect for the /l/ sound in word-initial position. Plus the beetle battle story can be used for /l/ in word-final position. For further speech and language goals to target using Fox in Socks by Dr Seuss, see the list below.